Around a decade ago, in a time before iPhones and Tablet computers, our main device to play videos games on was believe it or not, our video game consoles. None of this one device to rule them all nonsense, you bought a console and did your gaming through that. However this did mean that publishers were willing to release practically anything on PlayStation 2 and co. because that’s where all the money was to be had. Because of this the sixth generation of consoles and all those before them were plagued with the dreaded genre of movie tie-ins which, to those who have wisely chosen to forget, were generally hollow attempts at video games in order to cash in a quick buck. 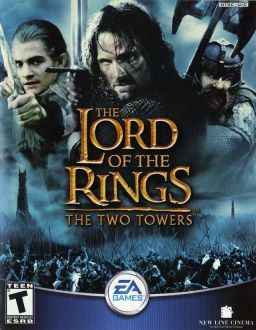 Therefore a game based on The Lord of the Rings has been done before many times over (remember the beat ‘em ups released in 2002 and 2003 respectively). However gaming has changed since those days and if a publisher wants to release a game on PlayStation 4 or Xbox One they’ve got to make sure there’s a good reason for people to buy it. For this reason, perhaps it’s time to repair the damage that movie tie-ins have caused nearly a decade ago and revisit some IPs. For starters we can’t ignore the fact that film universes such as Star Wars and The Lord of the Rings are still being utilised within the video game market, however even then there is an awareness to actively avoid the original content in favour of a more spin-off, expanding the universe approach. 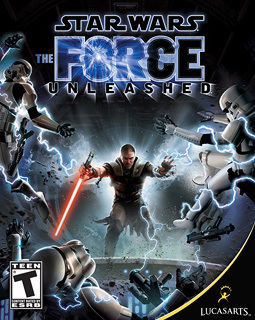 Expanding a universe is a great idea and the success of Star Wars: The Force Unleashed proves that this kind of thing can be very effective if handled in the right way. However I cannot help feeling a yearning for the original plot or the original characters every time I pick up one of these types of titles. This is because there’s this suggestion that you’ll effect or even crash land in the original plot of the series at some point and that is partly why you play on. 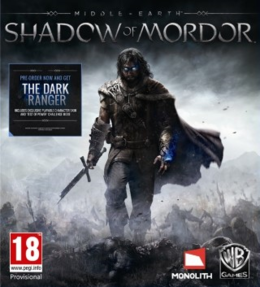 With Middle Earth: Shadow of Mordor on the horizon one might think Lord of the Rings has its Force Unleashed on the horizon. However these expansions do inevitably avoid affecting the original plot overall and in this sense the game is privy to the universe of the film or book series; it doesn’t recreate the experience as a video game but relies on what we already know from another form of media. Will the game excite? Or is it just another cash-in on a fading IP? Therefore these expansions are all too wary of the negative movie tie-in stigma, and therefore the opportunity to revisit series such as Lord of the Rings as a video game experience is overlooked. I suppose the closest example to what I’m suggesting here about a video game experience would be the LEGO series of video games, yet even then this isn’t quite the re-creation of material that I’m suggesting. 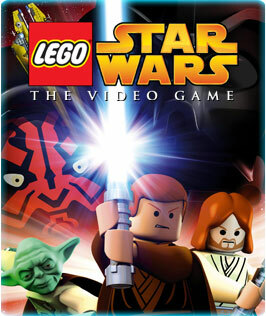 Whether it’s Star Wars, Harry Potter or Lord of the Rings, the LEGO games borrow heavily from the source material, yet because of the quirky nature and familiar gameplay that LEGO and Traveller’s Tales has established, it still feels as if you’re experiencing the original material in a brand new way; in a video game way. Thus a new memory of the material is created. However even these games don’t quite hit the mark, because there is no true re-creation or re-imagining of material, rather it is two universes coming together, the familiar meeting the familiar rather than the familiar being re-created in a new art form. To those who have both read and watched The Lord of the Rings, Peter Jackson’s interpretation of the material over J.R.R. Tolkein’s narrative has created a new and separate universe to experience this world because the films have adapted to the Hollywood blockbuster genre rather than an attempt to make the film match the book’s universe; there’s a different ideology supporting each form of the story. Therefore perhaps it’s time that developers moved away from making film expansions or relying on the styles of the film or book universe and become a universe of its own. To be able to experience The Lord of the Rings or Star Wars all over again as a video game would, to many, be a delight to behold. However it is to treat these experiences as video games from the ground up, independent of the books or films we know so well, that is required to be able to finally repair the damage the movie tie-in has left on the video game industry. I personally would like to see Avatar: The Last Airbender series reborn as a game (though I always imagine my re-creations as classic Final Fantasy adventures). However in a world where giant corporations own the rights to certain series, it’s hard to imagine any dedicated developers being allowed access to such properties. This isn’t The Last of Us here, with the developers having the opportunity to work on the film adaptation, able to look at the project as a film instead of the original video game; these are massive IPs here that sadly will always have that aspect of making a quick buck in the background. Still a gamer can dream that one day The Lord of the Rings will become a video game worthy of the grandeur and brilliancy that the books and films have already achieved. 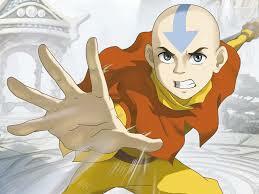 A real Avatar game, how can anyone say they wouldn’t want that.